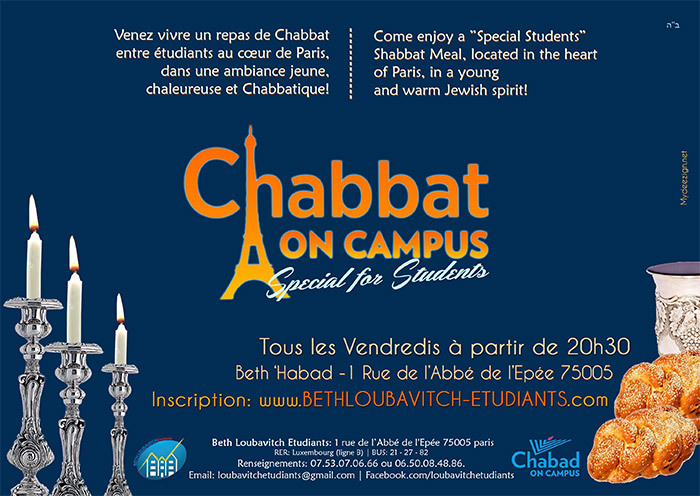 We welcome the student tourists and the local students wishing to join the meals "special students" of Friday evening of Sabbath (Shabbos). By concerns of organization, and to help us at best in this management, we kindly request you to complete the form below, for every participant. Thank you.